Lokomotiv-Kuban Krasnodar defeated Khimki Moscow Region on the road, 84-82 (20-19, 27-19, 24-29, 13-15). Dorell Wright hit the go-ahead triple and Lokomotiv-Kuban held on a for a dramatic two-point win in Moscow Region to regain control of 4th place. Playing without Alexey Shved, the home team streaked to a 15-5 lead before allowing Lokomotiv-Kuban to storm back with a 9-0 run and dictate the tempo the rest of the first half. Krasnodar led by nine at halftime, 47-38, after a 12-0 run from the Russian trio of Kulagin, Fridzon and Khvostov erased a slender one-point Khimki lead. But Khimki fought back in the second half. Charles Jenkins tied the game at 58-apiece midway through the 3rd quarter with four more lead changes and two ties highlighting a fiercely-fought period. Krasnodar tried to put the game away early in the 4th, taking a seven-point lead on Vitaly Fridzon’s second triple of the night. Khimki battled back. 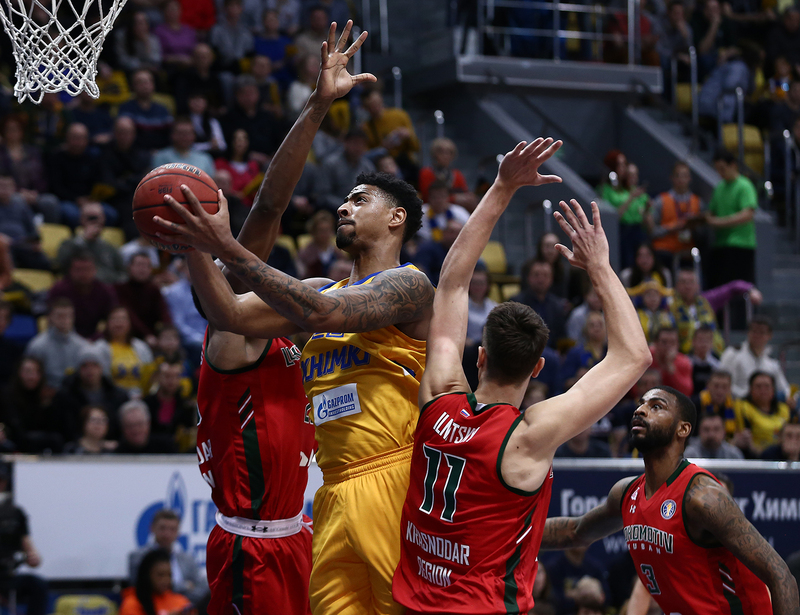 Jordan Mickey scored seven straight points for the Yellow and Blue before back to back buckets from teammate Malcom Thomas gave Khimki its first lead of the quarter, 82-81. Remarkably, the home team would not score again over the final two-plus minutes. Multiple turnovers threw a wrench in Khimki’s offense and Wright took advantage, draining his go-ahead triple with 1:40 remaining. 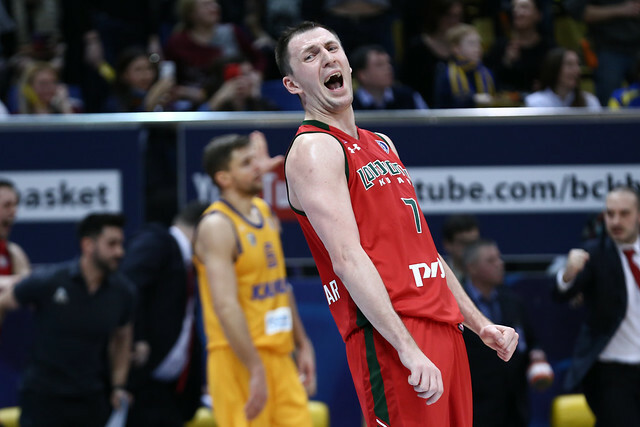 Khimki certainly had plenty of chances, but four straight missed shots, including a potential game-winning 3 from Stefan Markovic on the final possession, doomed Rimas Kurtinaitis’ men to defeat. The victory pulls Lokomotiv-Kuban to within one game of Khimki for 3rd place (11-5 and 12-4, respectively). Dmitry Kulagin. The Loko guard tied Jordan Mickey for most points and nearly recorded a triple-double (17+8+8), while making up for a miss down the stretch by dishing the game-winning assist to Wright. 11 – Lokomotiv (5 turnovers) and Khimki (6) took care of the ball. But Khimki’s final turnover proved very damaging in the final minute.